A favorite from Down Under, Anzac biscuits have been connected to Australia and New Zealand since their first iteration during World War I. You might notice eggs are missing from the recipe — this traces back to their scarcity during the war. Omitting eggs in these biscuits gives them a longer shelf life, making them perfect for sending to a friend or loved one. And since the base of this cookie is so basic and quick, raise the bar and add a couple extra mix-ins. 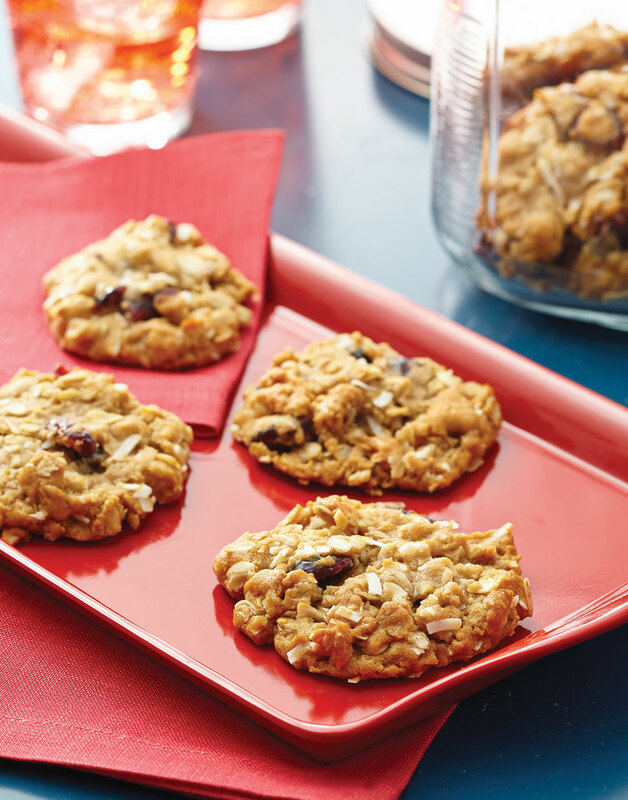 Golden raisins or cranberries provide a burst of sweet flavor and give this cookie a chewy bite. Whether you send these cookies off for someone else to cherish or enjoy them in your own kitchen, they’re sure to satisfy any sweet tooth. Unlike its counterpart, unsweetened coconut is completely dried and more finely shredded. This gives it a brittle, drier texture, as well as a longer shelf life than sweetened coconut. Replacing one type with the other can result in vastly different textures, so it’s best to use what’s called for. Combine flour, oats, coconut, brown sugar, cranberries, and salt in a bowl. Melt butter in a saucepan over medium heat. Stir in golden syrup, water, baking soda, and vanilla. (The baking soda will cause the mixture to foam.) Pour butter mixture over flour mixture and stir to thoroughly combine. Form dough into heaping 1 Tbsp. (1 oz.) balls and place on prepared baking sheets, 1-inch apart. Press balls with a fork to flatten, then bake until slightly browned, about 10 minutes. Let cookies cool on racks 5 minutes.